Drum Cafe is a global leader in interactive training and events. 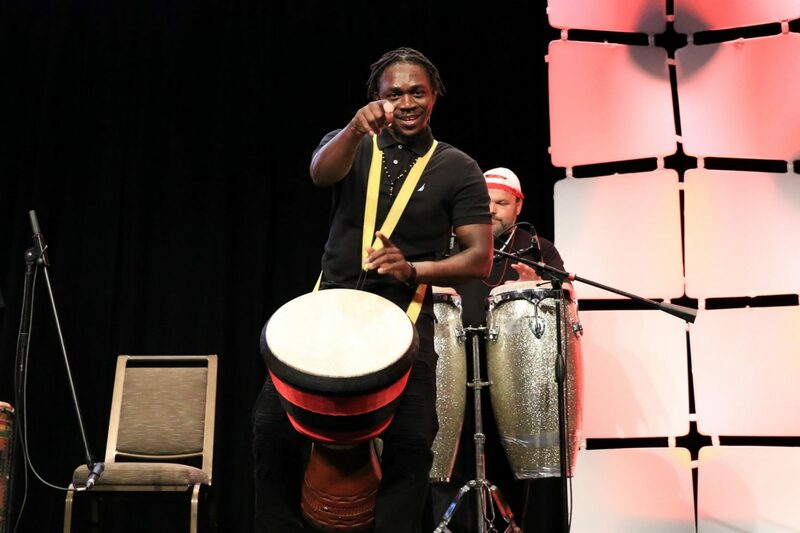 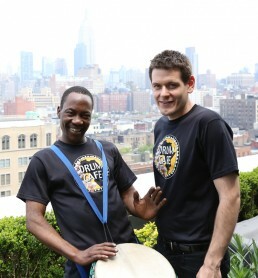 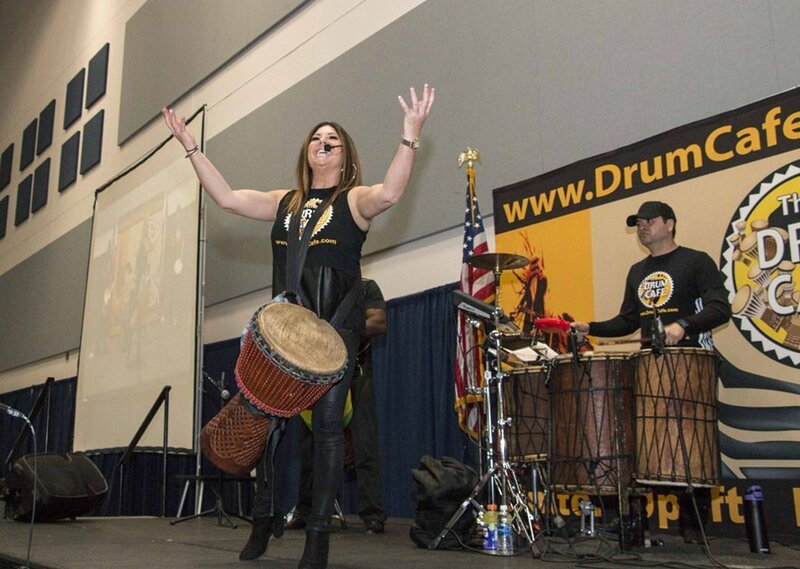 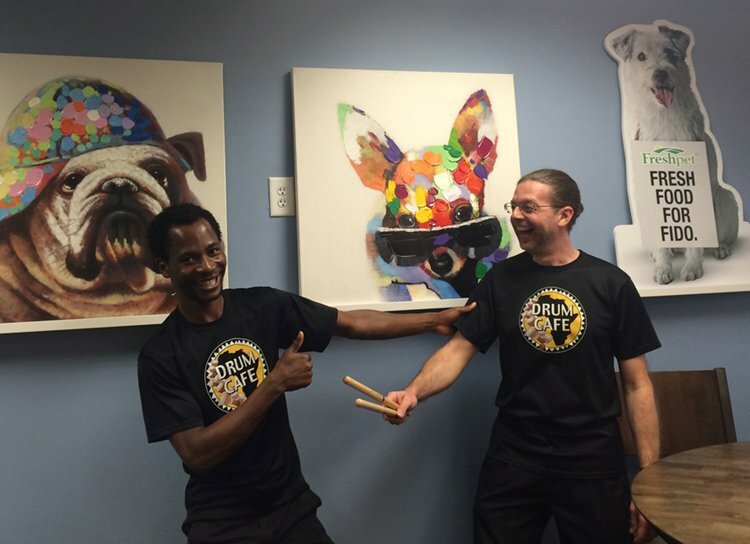 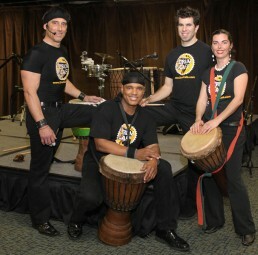 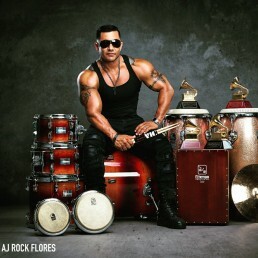 Drum Cafe USA offers Team building, Leadership Development and Entertainment through Interactive drumming experiences. We have succeeded when your team comes away connected, ready to collaborate and innovate, each person included as an integral part of the success of the whole. 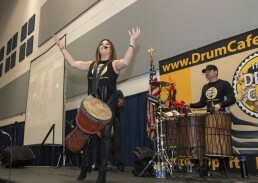 Group drumming is the original form of team building. 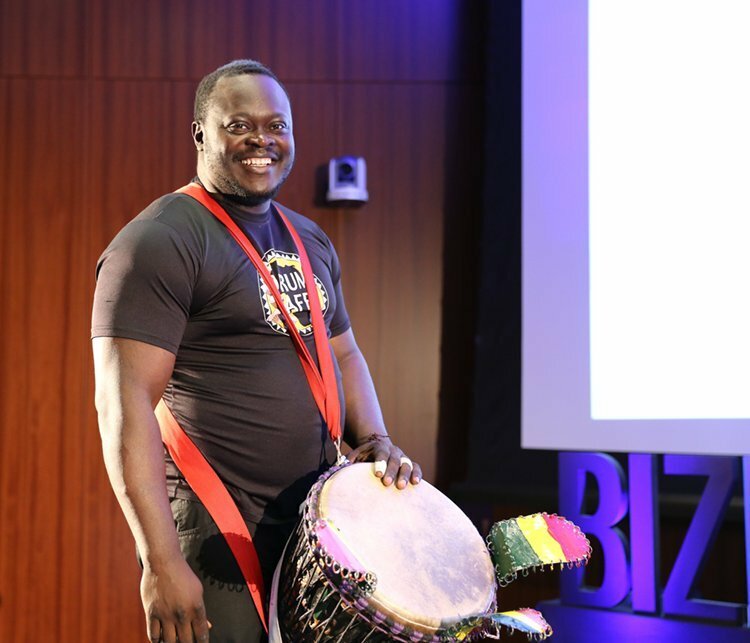 For centuries, communities have used the drum as a tool for communication, celebration, conflict resolution and preparation for battle. 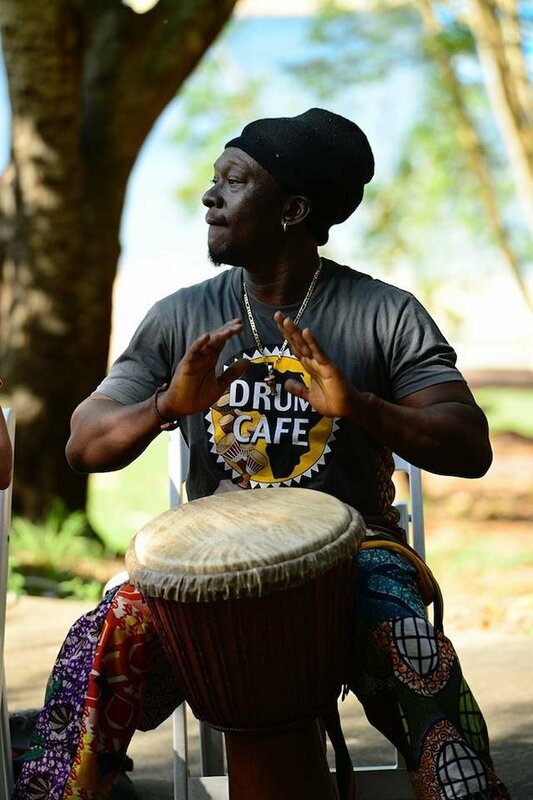 Rhythm is within all of us as a basic universal language that everyone understands, and is a fundamental aspect of our human experience. 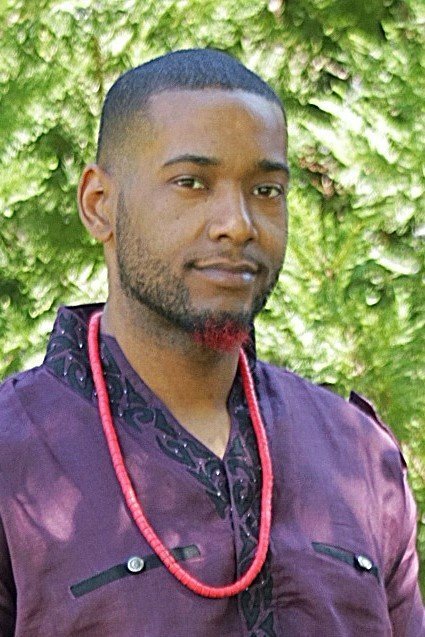 It is our heartbeat, in our walk, our eating and sleeping patterns; the inhale/exhale of our breathing, the changing of the seasons, the day and the night. 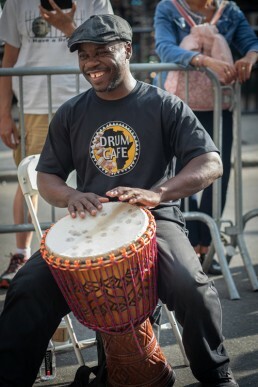 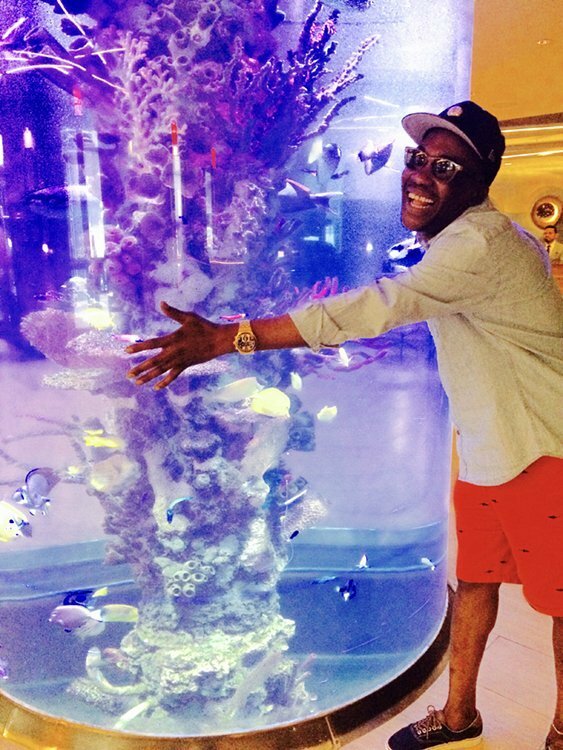 And one of the most manifest places that rhythm presents itself in our lives is in our relationships. 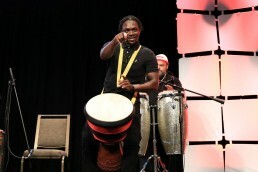 In the organizations we serve, the foundation of success is based on relationships: with customers, bosses, peers, subordinates, and with self! Improve on these – and the bottom line improves. 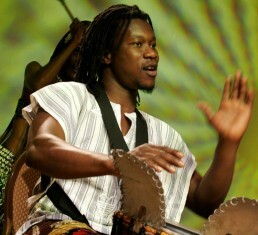 The effect of being a part of a synchronized drumming orchestra, is empowerment and inspiration. 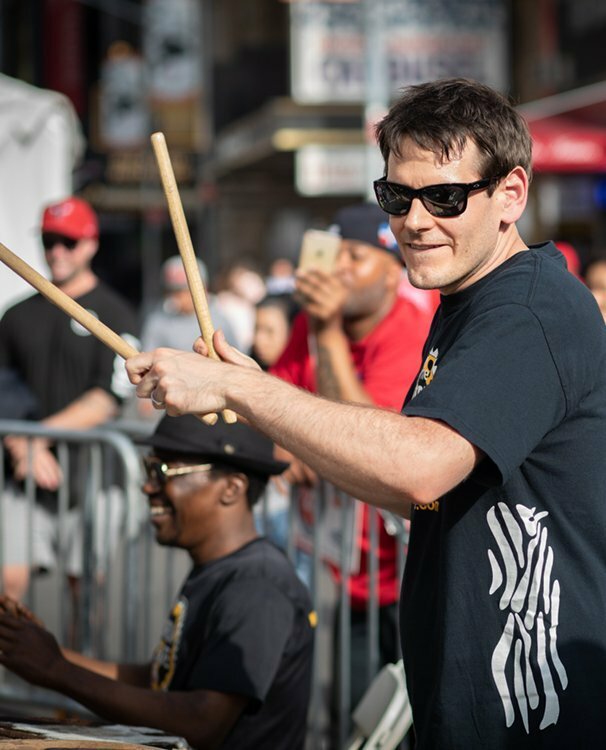 Everybody gets back more energy than they put in. 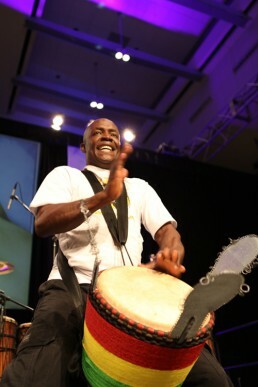 Each person feels focused, receptive and connected. “…there is something about rhythm that has a dynamic, propulsive effect and gets people moving with it and with each other, …and so the rhythm of music has a strong bonding effect” – Oliver Sacks, MD. 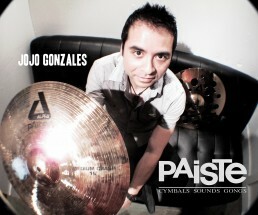 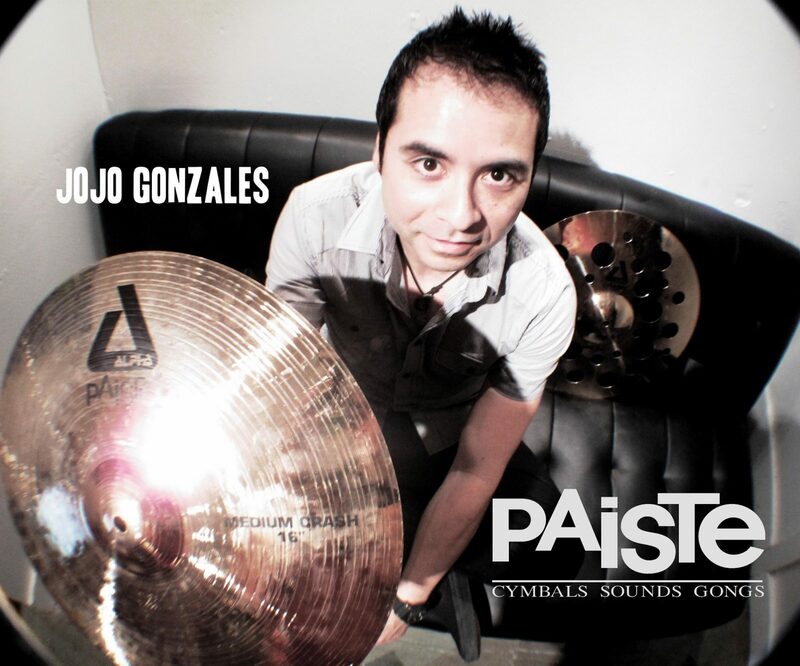 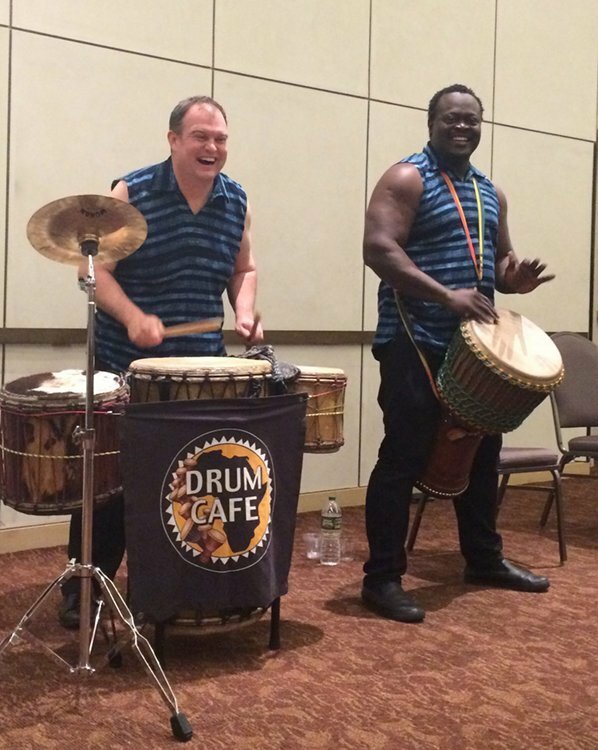 We bring Interactive Rhythm & Drum events to small and large groups, for all types of company events. LEARN MORE. 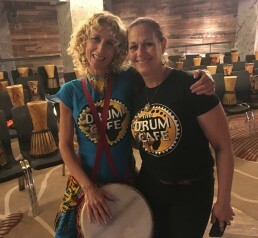 Developed originally as a Diversity & Inclusion Program to unite the multicultural workforce in the new South Africa, Drum Cafe has been committed to diversity training since 1998 and has been a major contributor to the shift towards a culture of collaboration in corporate communities, worldwide. 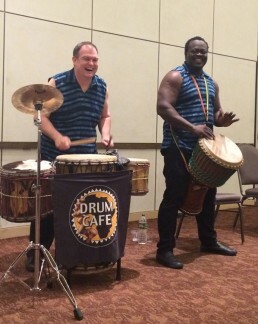 Our interactive, corporate drumming programs quickly bring business people together in a direct experience of inclusion, breaking barriers, unlocking potential and effecting change. 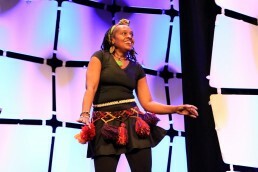 People become strengthened, not threatened, by their differences. 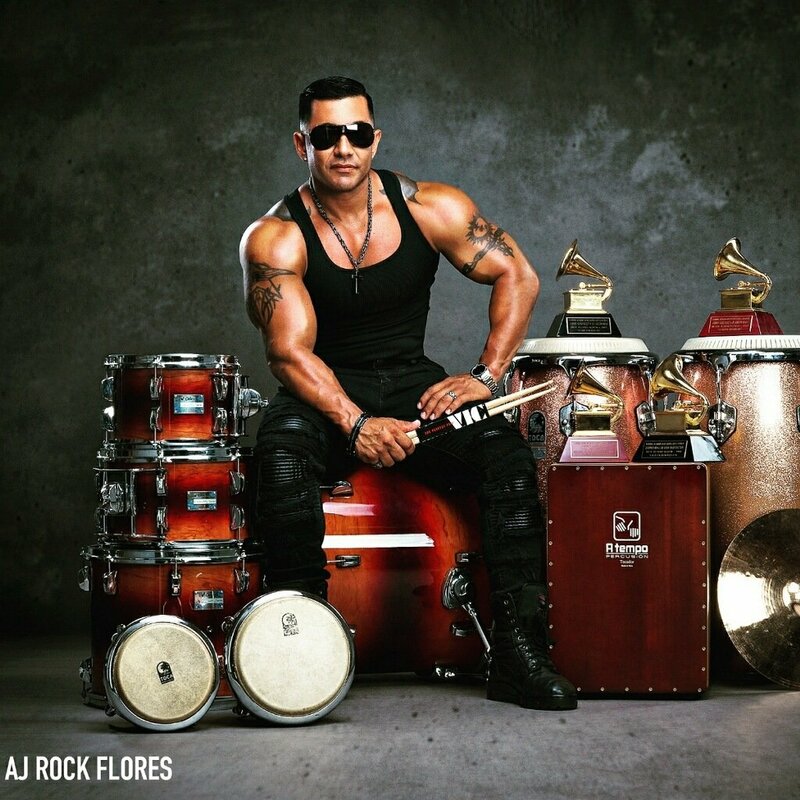 The effect is unforgettable. 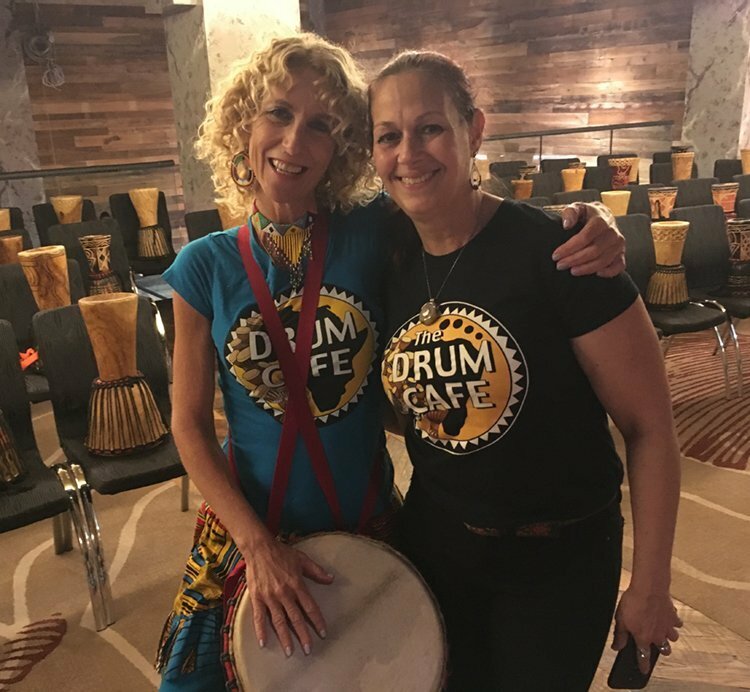 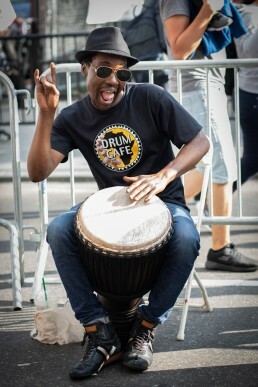 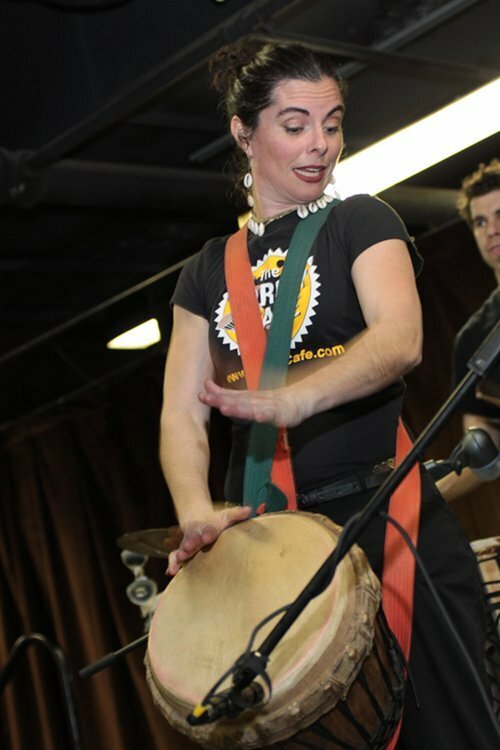 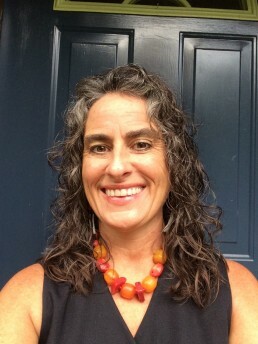 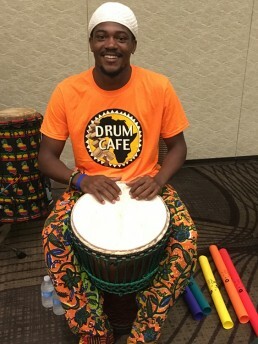 Drum Cafe works with world-class facilitators and musicians who demonstrate high-performance, and multi-cultural teaming. Each individual brings a unique flair to the stage – and each is truly valued. 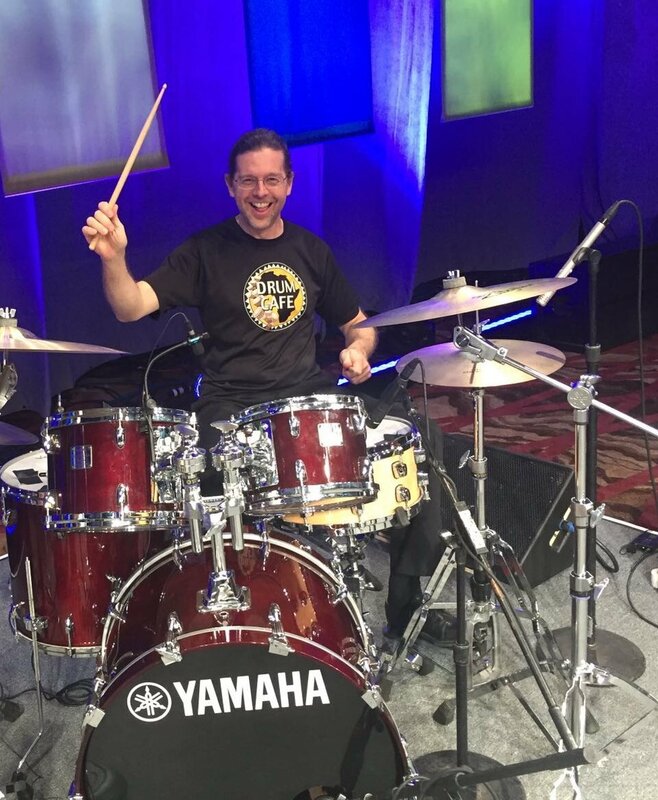 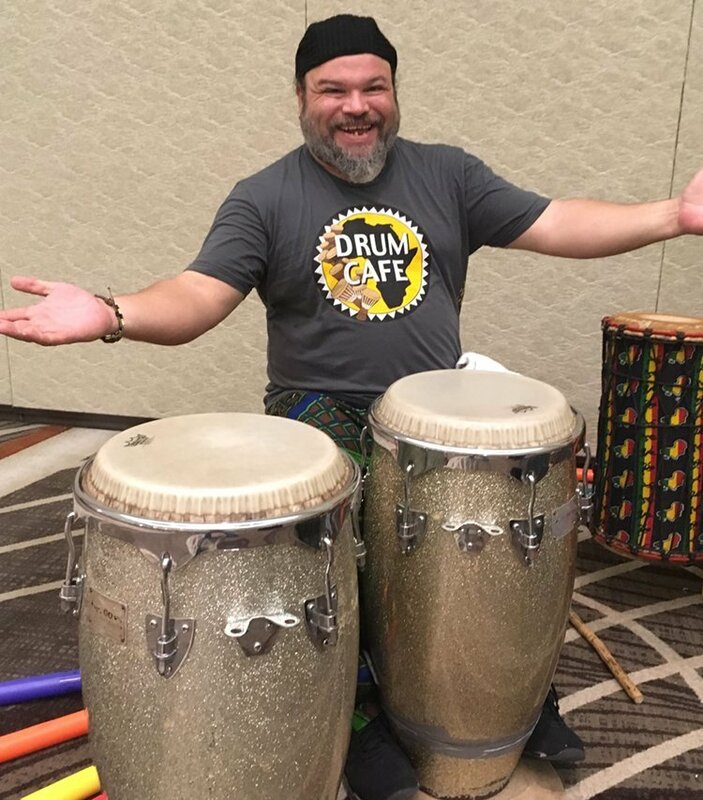 Our Drum Cafe USA family is a diverse group of musicians, consultants, salespeople, project managers, teachers, sound engineers, meeting planners, and logistics experts. 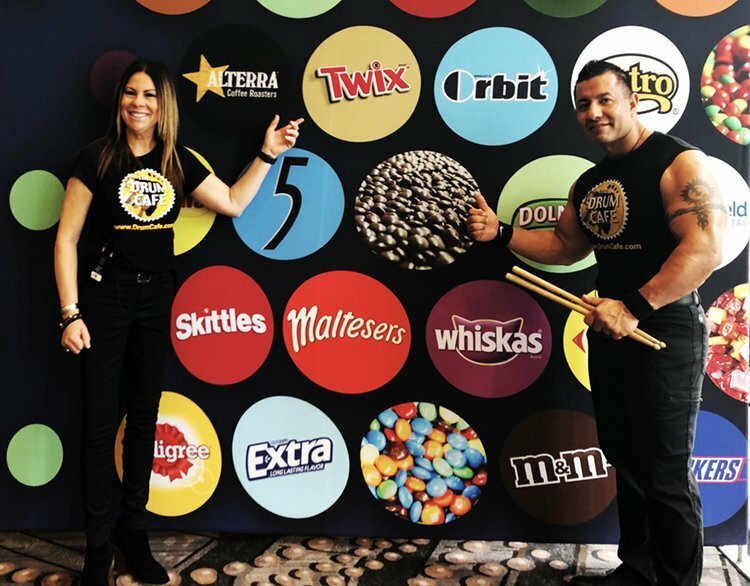 Every role relies on the other to maximize the customer experience for our clients. 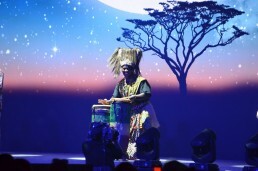 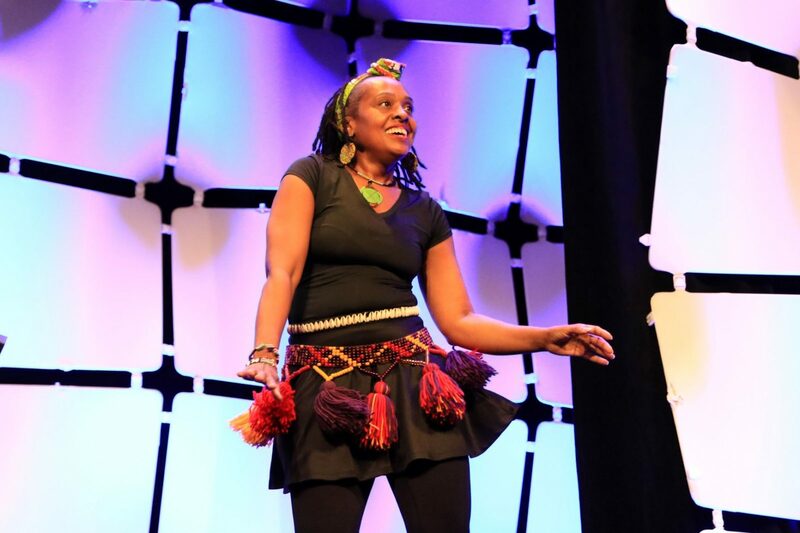 The spirit of ‘Ubuntu’ – the social, economical Bantu philosophy that translates into ‘…I am because you are…’ is our credo both on and off the stage.